Kevin Frey joined Laner Muchin in 2018. He focuses his practice on representing public and private sector employers before federal and state courts and administrative agencies in all types of employment litigation, including discrimination, harassment and retaliation litigation, wage and hour and wage payment claims, civil rights and constitutional claims, whistleblower claims, and employment contracts disputes involving trade secrets, non-competes and restrictive covenants. 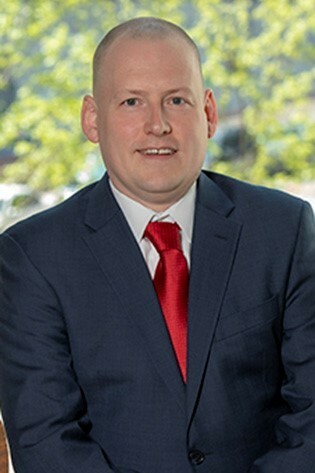 Kevin also represents employers in representation cases and unfair labor practice cases before the National Labor Relations Board, the Illinois Labor Relations Board and the Illinois Educational Labor Relations Board. Additionally, Kevin has been appointed a Special Assistant Attorney General for the State of Illinois and advises and represents the Illinois State Superintendent of Education in actions against educators’ professional educator licenses. Prior to joining the firm, Kevin was the Supervisor of the Labor and Employment Unit at the Cook County State’s Attorney’s Office. Kevin spent fourteen years with the Cook County State’s Attorney's Office where he tried numerous matters in state and federal court, before the Illinois Human Rights Commission. Kevin has also successfully argued before the United Stated Court of Appeals for the Seventh Circuit. In addition, Kevin has handled numerous disciplinary matters before the Cook County Sheriff’s Merit Board and on Administrative Review before the Circuit Court of Cook County and the Illinois Appellate Court. Kevin has also held the position of Senior Labor and Employment Counsel for the Cook County Health and Hospitals System. In this position, Kevin counseled management in matters related to discipline, collective bargaining provisions, policies and procedures, layoffs, terminations, transfers and numerous other matters that arose between management and its employees.